Already without seven regulars, Fylde lost striker Jordan Payne to injury in the first minute. Midfielder Jake Merrick made his first-team debut and impressed alongside two other Under-18s. Timperley cashed in on a defensive error to take the lead against the run of play, though this seemed to spur Fylde on and a 15-minute attacking spell saw Zak Longstaff score with a clever deflection before Chris Toward fired high into the net from a penalty corner to give Fylde the lead. But Fylde couldn’t maintain that intensity and mistakes either side of half-time were costly. Timperley tapped in to make it 2-2 at half-time after a bouncing ball struck a post, then keeper Nigel Sadler left a shot he thought was from outside the D.
Timperley added a fourth from a penalty corner, though Fylde’s work-rate remained exceptional and they never gave up. Congratulations to champions Timperley on completing the season unbeaten, while runners-up Fylde have the Lancashire Trophy final against Southport to look forward to at Wigan on Saturday. Fylde 2 had just pride to play for against their City of Manchester counterparts at Mill Farm. The hosts had availability problem and conceded early in this North West three north match, trailing 3-0 at half-time. A fourth goal followed but Fylde regrouped and pulled one back through Chris Walker. City of Manchester made the final score 5-1 as Fylde ended the season with just one victory, though playing in a lower league will hopefully benefit the players. An enjoyable final game of the division five north north campaign ended in a 4-2 defeat for Fylde 3 away to Lancaster and Morecambe 2. Lancaster scored first, and although Eamon Hasoon quickly equalised the hosts made it 2-1 by half-time and 3-1 shortly afterwards. Fylde had plenty of chances but couldn’t convert short corners until man of the match Chris Blackburn’s goal gave them hope. However, Lancaster sealed victory late on when a shot from halfway was touched in. Fylde, who showed great spirit throughout, finished sixth in the table and Lancaster third. Fylde 4 are ending the six north season on a high after back-to-back wins. Their final Mill Farm match of the campaign brought a 4-2 win over Bolton 3 thanks goals by Charlie McNamee, who has been named man of the match in both his senior games, the hard-working Dan Howe, Phil Hope and JayMayne. Hope also made a goal-line clearance with his knee and Bolton missed the subsequent penalty. 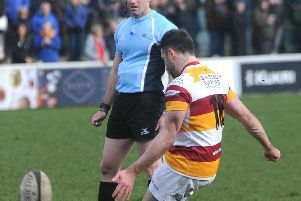 Fylde still have a rearranged match to play at Kirkby Lonsdale 2 on Saturday but are sure to finish fifth. Fylde Ladies completed the North Conference League season with a 3-1 defeat by Durham at Mill Farm. Pride alone was at stake as Fylde sought to reach double figures for the season. The players enjoyed the best weather of the season and the spectators included a party of children from Rossall Primary School, who helped out with the toss. Fylde broke down Durham’s attacks and had early chances but were struggling for a clinical finish. They had the more first-half chances but it was Durham who broke the deadlock from a short corner five minutes from half-time. Fylde conceded a second after the restart with another clinical finish from a short corner. Fylde pulled one back when poacher Sharples turned in Mason’s flick at close-range, but as they pressed high for an equaliser Durham scored a well-worked third. 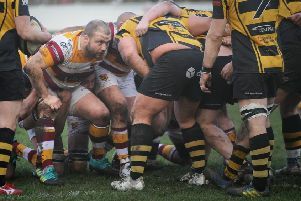 Fylde finish second-bottom but are safe from relegation due to a league restructure. Karen Wells in goal who made players’ player of the season and Lucy Partington the most improved player. The team wish all the best of luck to their England Under-18 player Mollie Mason as she goes to university. After Lytham St Annes Hockey Club’s ladies completed their most successful season, it was the turn of the club’s men to bring the curtain down on their campaign at the weekend. The senior side ended a tough senior with a 6-1 defeat away to Brooklands MU 3. LSA finished bottom of North Two West but there is no relegation. LSA 2 ended the North West five north north season on a positive note with a 1-1 draw against champions Southport 2 at Ansdell Arena. A Lytham player needed an ambulance after taking a ball to the face but his team-mates earned a very creditable result which lifted them to ninth in the final table. Rossall Ladies ended a tough season on a high note with a 3-1 victory at Pendle Forest 3. Hannah Christy made her comeback and Caz Evans went back in goal. Rossall started the brighter and Pendle had their keeper and a post to thank for 20 goalless minutes. The deadlock was broken when Rossall intercepted a Pendle short corner and Debbie Slater released Tracey Housley , who fired an unstoppable shot. Slater took a quick corner and picked out Sam Evans, who timed her run to perfection to make it 2-0 at half-time. Bottom club Pendle, without a win all season, refused to surrender and pulled one back from a well-struck short corner. But as they pressed for and equaliser, Slater picked up the ball in her own half and beat most of the Forest side for a superb individual goal. Rossall were reduced to nine players when Christy was sinbinned and Emma Gilfoyle injured a shoulder but they held on for a deserved win. Rossall end the campaign ninth in the Lancashire Central premier division.